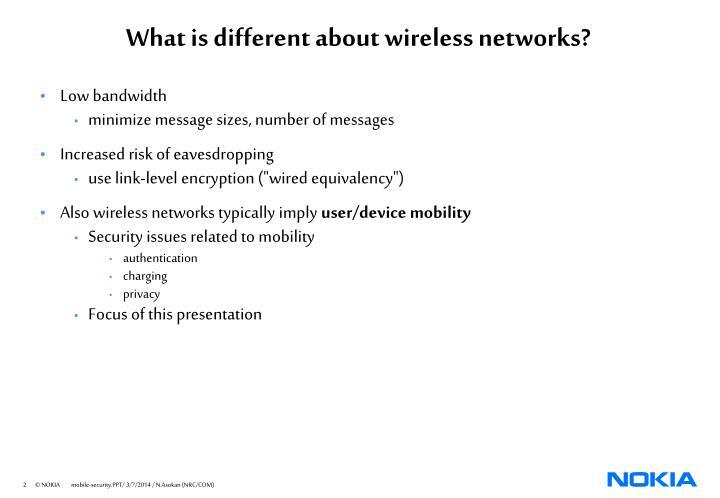 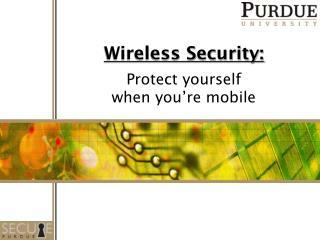 What is different about wireless networks? 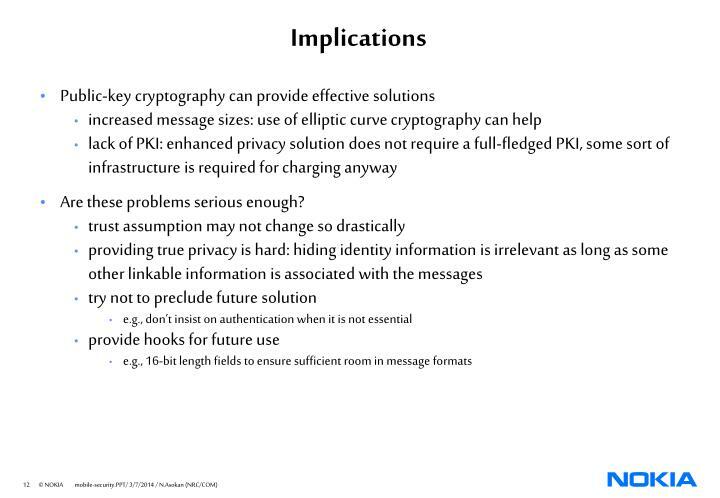 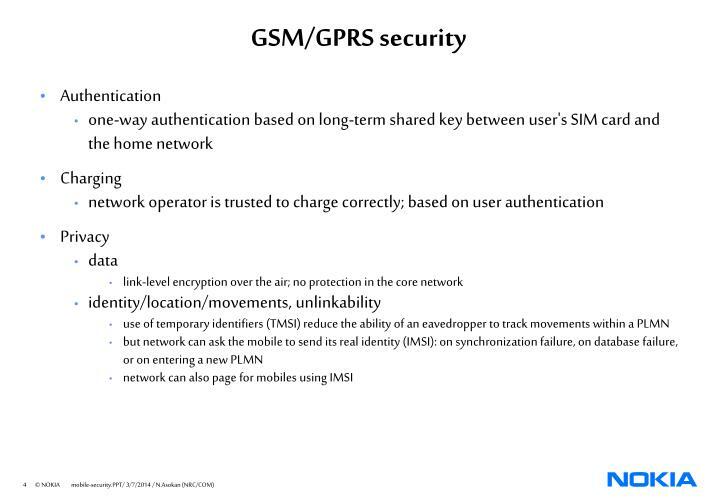 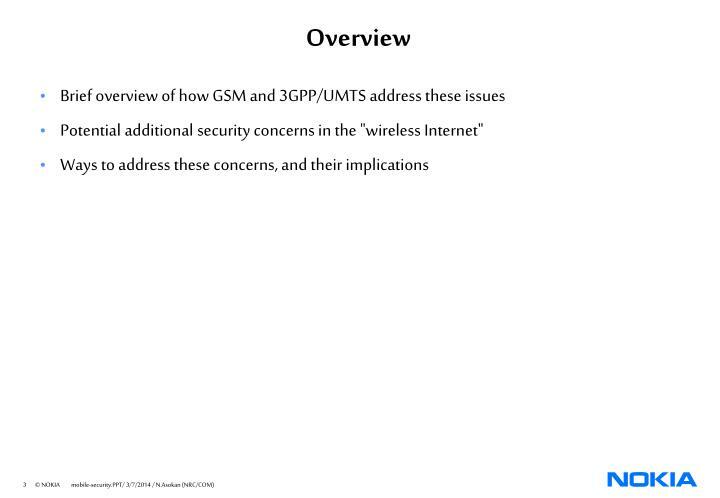 Potential additional security concerns in the "wireless Internet"
enhanced user identity confidentiality using "group keys"
IMSI is not sent in clear. 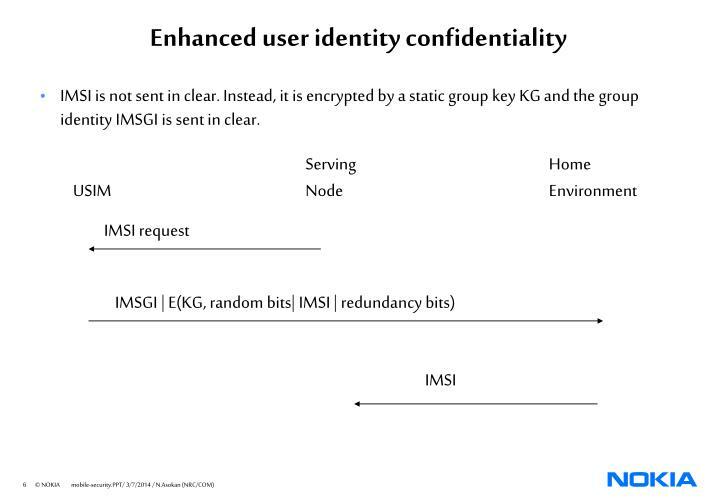 Instead, it is encrypted by a static group key KG and the group identity IMSGI is sent in clear. 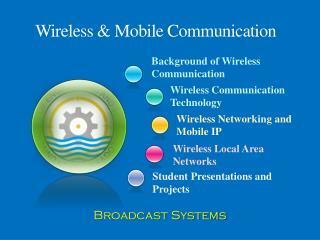 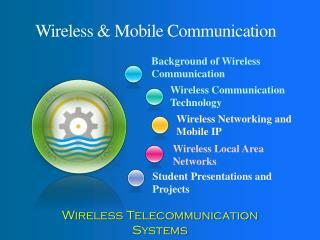 What is different in the wireless Internet? 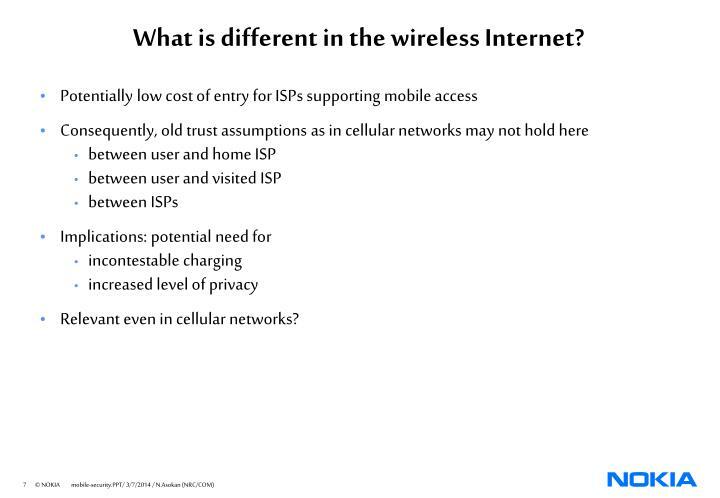 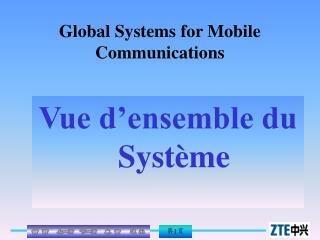 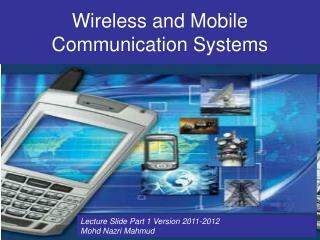 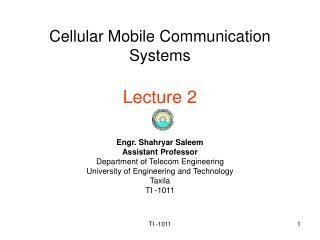 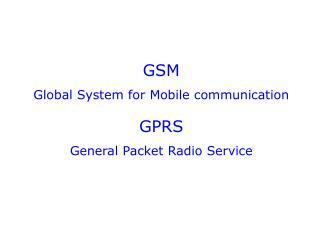 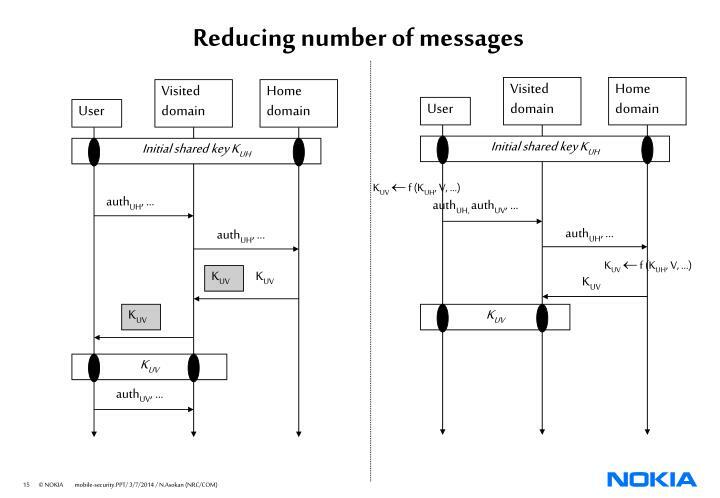 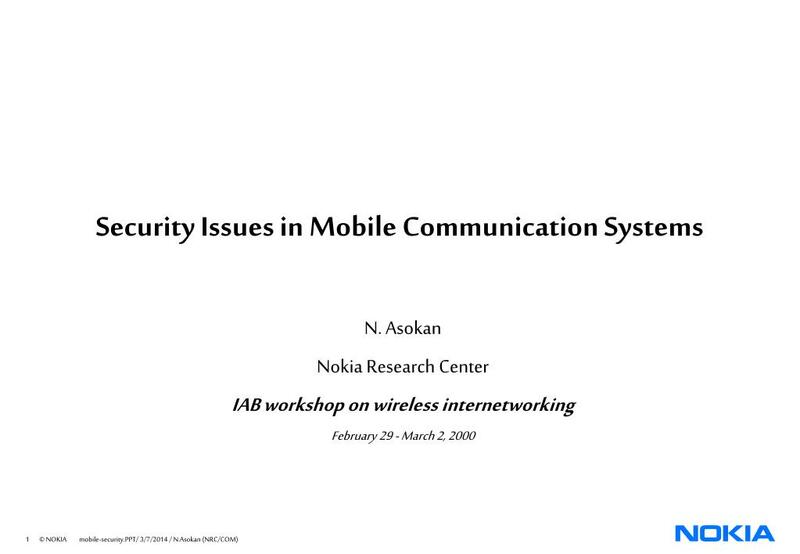 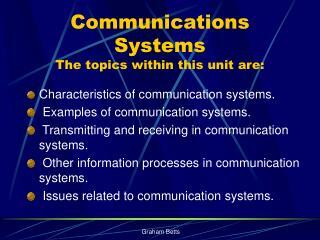 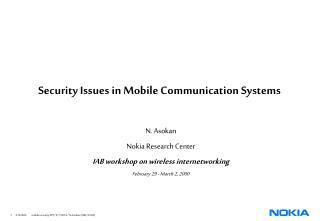 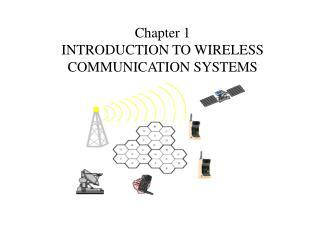 Relevant even in cellular networks? 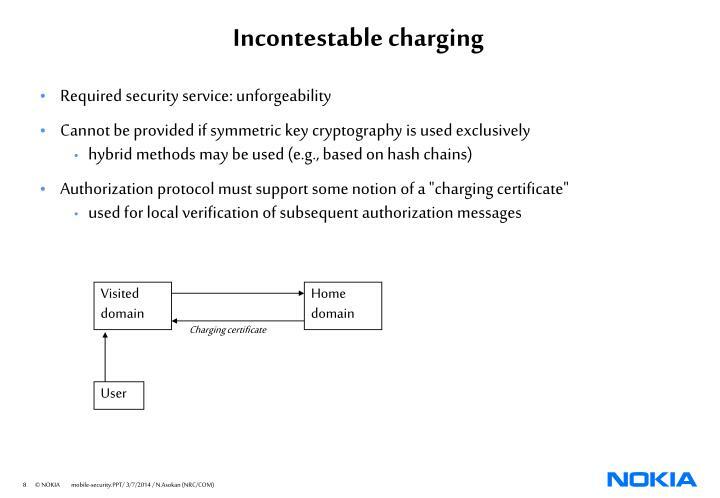 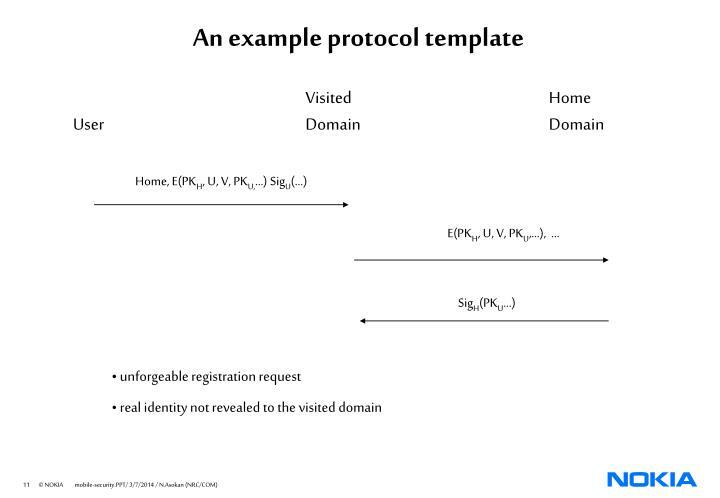 Authorization protocol must support some notion of a "charging certificate"
Release information on a need-to-know basis: e.g., does the visited domain need to know the real identity? 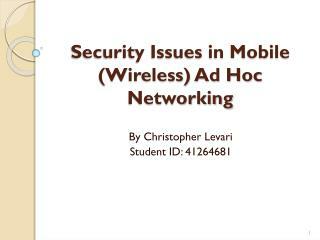 Are these problems serious enough? 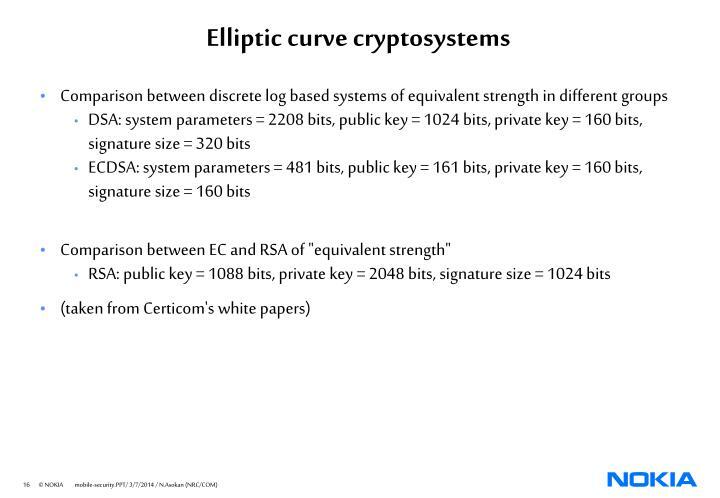 Comparison between EC and RSA of "equivalent strength"
Mobile Security -. 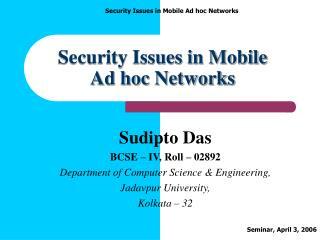 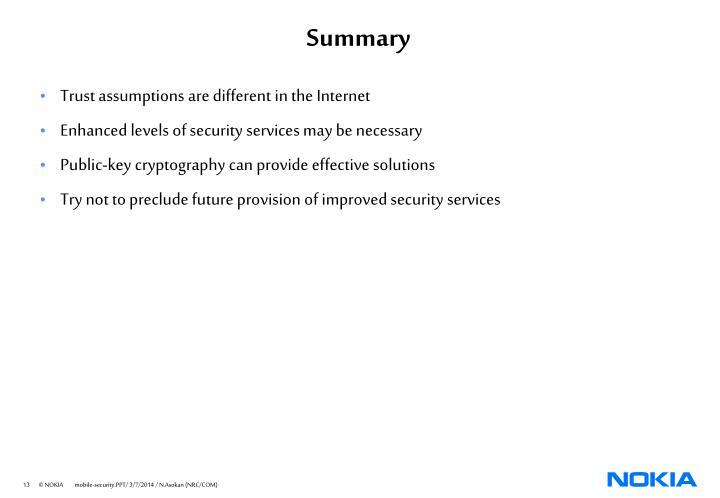 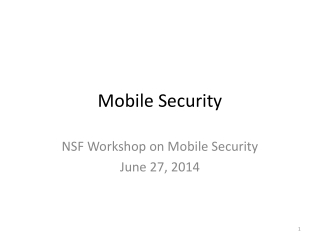 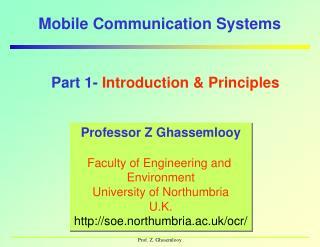 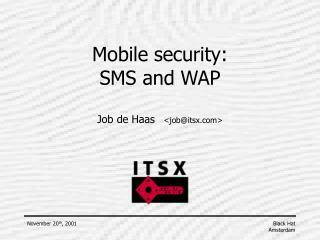 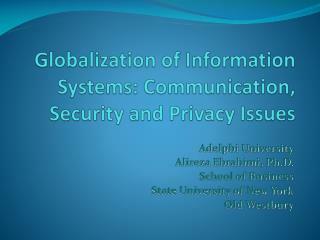 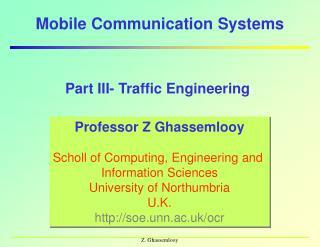 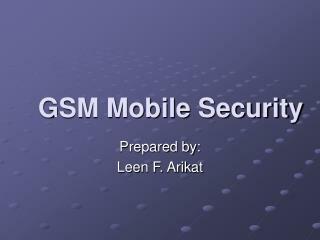 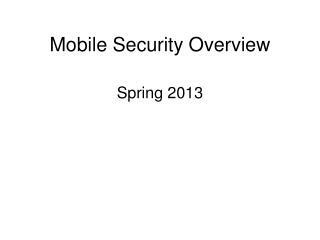 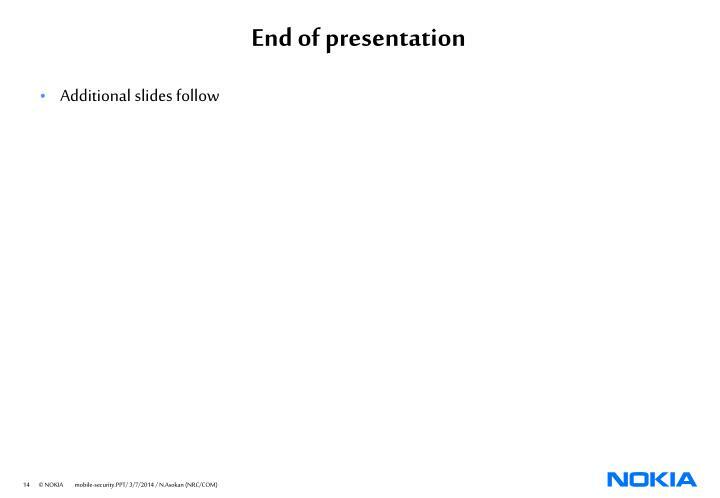 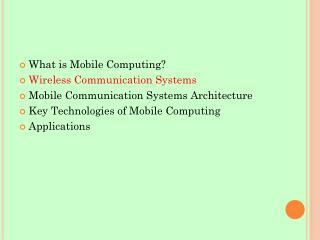 nsf workshop on mobile security june 27, 2014. pillars of mobile operating system (os) security. 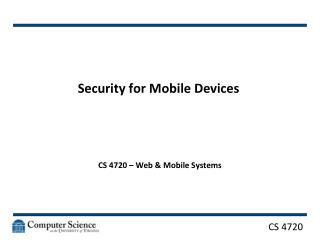 traditional access control seek to protect devices using techniques such as passwords and idle-time screen locking.